Interview with Deanna Raybourn + Giveaway! You guys. It is a genuine thrill for me to welcome Deanna Raybourn to the blog today! I am such a fangirl. I discovered Ms. Raybourn's work through her debut novel—Silent in the Grave—a book I consider perfect in every way and one that I foist upon other readers every chance I get. 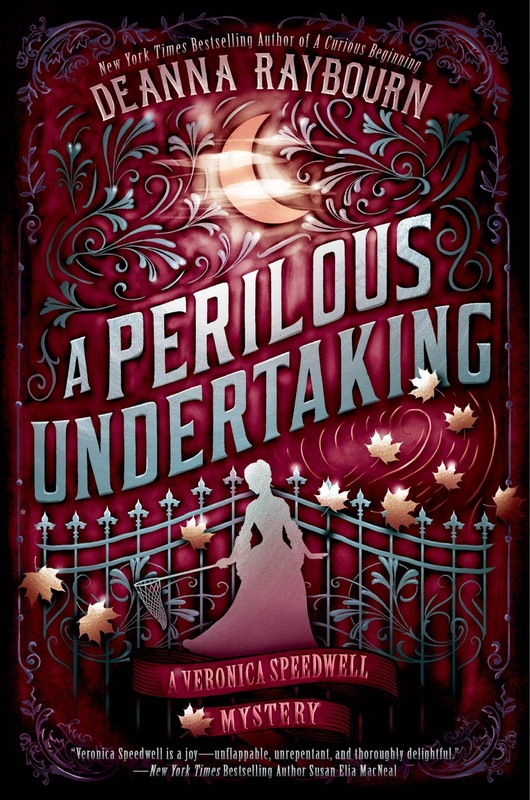 To say I was excited when she announced she was writing another Victorian mystery series is a not-so-mild understatement. A Curious Beginning is the first in the Veronica Speedwell series and it is being released in trade paperback on July 12th. We're celebrating with a giveaway of one copy, complete with gorgeous new cover. I literally can't stop stroking my copy. 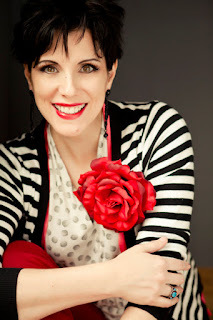 So, without further ado, please welcome Deanna Raybourn! This is your second Victorian mystery series. How did the idea for the series develop and how differently did your protagonists make themselves known as opposed to Lady Julia and Brisbane? I am so lucky to have another chance to explore Victorian London! 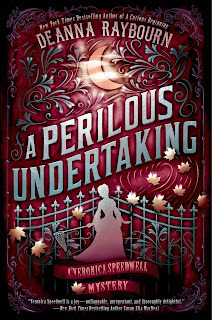 I love this time period unreservedly, and when my previous publisher declined to continue the Lady Julia series, I was not ready to leave the 19th century. I have studied Victorian female explorers since college, and I have always been smitten with Margaret Fountaine, a lepidopterist who traveled the globe, collecting butterflies and lovers, and writing a series of genteelly-salacious journals. I used her as inspiration for Veronica’s character; they have very different backstories, but the notion of a woman who travels on her own was extremely appealing for me. By definition, that made her different from Lady Julia who has been reared in the hothouse atmosphere of English aristocracy. The Julia books show her evolving into an independent, inquisitive, self-actualized woman; Veronica is already there when we meet her. I like tortured heroes, so there was no question that Stoker would have a painful personal history. Because I lowered my heroine’s social status for this series, it made sense to elevate the hero’s. Stoker is more highly born than Brisbane and has been to the right schools, carried a noble name. He has rejected that life, taking a sort of downward trajectory while Brisbane has been upwardly mobile. It has made for an interesting change for me to switch up that dynamic, and having one very successful sleuthing couple has made it much easier to create another. I'm a huge fan of name origin stories and how an author goes about naming her characters. Veronica Speedwell and Stoker's names are so perfect for them and for this series. Can you elaborate on that process for us? Veronica’s name came about when I was researching herbs and came across the plant Veronica. Its common name is speedwell, and I thought that together they sounded like the perfect Victorian heroine; I knew immediately who she was—intrepid, unconventional. Stoker was completely the opposite. I went through an entire draft with a totally different name! It never felt right, and I had to keep working at it, trying and discarding a variety of options. Then I recalled the Deborah Mitford, the late Duchess of Devonshire, had a son nicknamed Stoker. I put that together with Revelstoke, a name I’d always wanted to use, and it suddenly came together. As an aristocrat, he needed a double-barreled name and an Honourable, just to gild the lily a bit. I tend to squirrel away names that I like in hopes of one day finding characters to fit. What do we have to look forward to on the horizon? Veronica’s third adventure! I am writing it now and having a wonderful time digging deeper into their world. I hope to be able to keep writing Veronica for a very long time. I have so many plans for her and for Stoker! The Lady Julia TV series is still in development in the UK, and I’m quite excited about that too. What is one book and/or series you've been gushing about lately? I have wrestled people down to make sure they’re listening when I rave about Lyndsay Faye’s JANE STEELE, a truly superb book that reimagines a Jane Eyre-type character as a serial killer. Genius. And I’ve just discovered M.R.C. Kasasian’s Gower Street Detectives series; it’s wonderful. That’s two, and I’m not choosing between them—I can’t! Thank you so much for stopping by and whetting our appetites for more Veronica! And now for the giveaway! 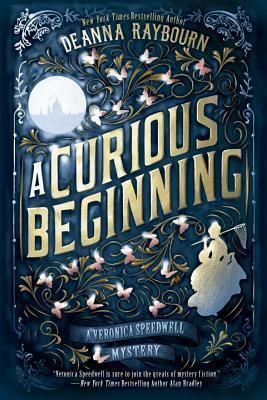 Penguin Random House has graciously offered up a brand new paperback copy of A Curious Beginning to one lucky reader. This giveaway is open to U.S. addresses only and will run through Thursday, July 14th. To enter, simply fill out the Rafflecopter. Good luck, and happy reading!